The Department of Fisheries is currently investigating a shark incident at Wylie Bay, near Esperance this morning. Beaches have been closed at Wylie Bay at Kelpids Beach, near Esperance, after a shark incident this morning which resulted in a man being seriously injured. A white shark has been caught in the vicinity of Wylie Bay, at Kelpids Beach, about six kilometres from Esperance, following a serious shark incident in the area this morning. 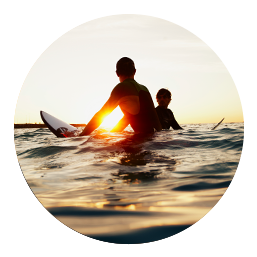 With a long weekend and school holidays commencing people out on the water are reminded to stay alert and safe in the marine environment, and keep a check on the shark sighting and detection reports available through the Surf Life Saving WA (SLSWA) Twitter service. Aerial patrols of South-West beaches by Surf Life Saving WA (SLSWA) will start eight weeks earlier than planned, Premier Colin Barnett announced today. After a white shark sighting off Perth beaches today, the Department of Fisheries is reminding water users to check for the latest shark sighting information before using the water. The Department of Fisheries is advising water users between Cape Knob and Point Henry including Dillon Bay and Dillon Beach, near the South Coast town of Bremer Bay, to exercise additional caution after the discovery of a whale carcass on Dillon beach. The Department of Fisheries is advising water users in the vicinity of Limestone Head, in Albany’s King George Sound, to exercise additional caution, following the discovery of a small (three metre) juvenile whale carcass. The Department of Fisheries is advising water users between Point Peron and Golden Bay to exercise additional caution, following the discovery of a whale carcass at Port Kennedy this morning.